Details: Ok this cider event is one not to miss. Join Cider Expert Jeff Russel from Rowan Imports (all they do is cider) for a education, walk around tasting and small bites. What a great day to spend a Sunday outside in the Hudson Valley. Experience very unique, traditional and non-traditional ciders from all over, including some local ones. Cider is like wine, regions, apple varietal and the cider makers personal touch all influence the cider. Experience all that and more at this event. This event is $19.99 and includes small bites and ciders. Weidman & Groh Speierling – From 10 miles outside of Frankfurt. Originally a brandy producer. Speierling is a member of Sorbus Domestica ( looks like a cross between an apple and a pear.) Now only grown in Germany, the last tree was cut down in the south of England over 100 years ago. 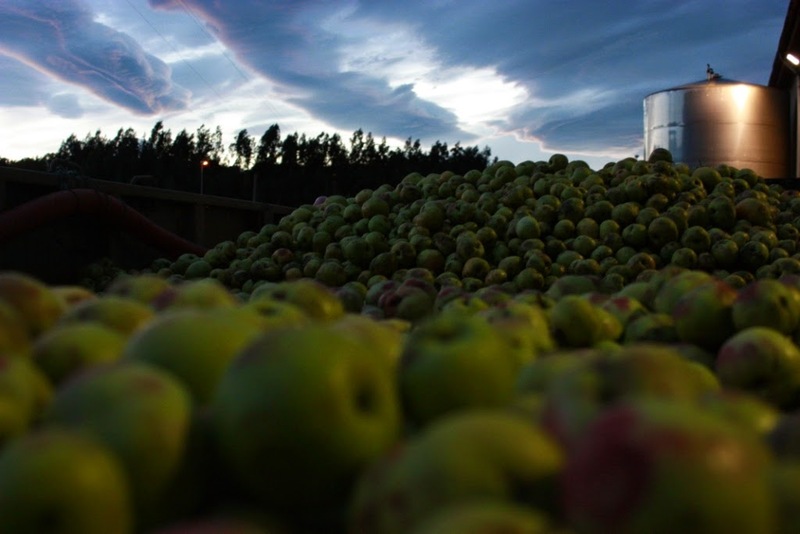 The fruit is blended with traditional cider apples to add tannic structure. Golden Fruit/ Golden Raisin, honey, baked apple on the palate. Great acidity. Slyboro Hidden Star – Slyboro’s entry level. A blend of northern spy and liberty apples, from the oldest U-Pick orchard in NYS. A hint of residual sugar (35 g/liter) with a great acidity, and medium body. A little parmesan on the nose, red fruit on the palate. Plus a couple of other ciders. Rowan Imports is NYS first cider specific importer. Starting with only a handful of Asturian Sidra, their book now includes over 50 ciders from around the world. The focus still remains on small terroir driven producers, making ciders through traditional methods specific to their home region. Jeff is one of Rowan Imports first employees. He was tempted away from the wine/restaurant world by Rowan, and the dream of bringing true cider to the masses.